My pets have always been a major part of my life. So much so, in fact, that I named my son after my beloved childhood dog, Jake. Right now, I have three dogs, three cats, two guinea pigs, a parrot and a small tank of fish. As you can see, we’re definitely animal lovers here! My dogs in particular have made my life so much better in so many ways, I can’t even count them.I remember when I was trying to conceive for six years, how my dogs were the only thing that kept me from wallowing in utter despair every month. Getting up and caring for them kept me going. When I finally had my son, they stayed up all hours of the night with me to keep me company while I cared for him. My dog, Cooper, sat with his head on my shoulder for a long time after my grandmother passed away. These are just a couple examples of how much they’ve been there for me. Whether they’re giving you a furry shoulder to cry on or keeping you company on your daily walk, your pets are there for you. They need you to be there for them. How can you do this? 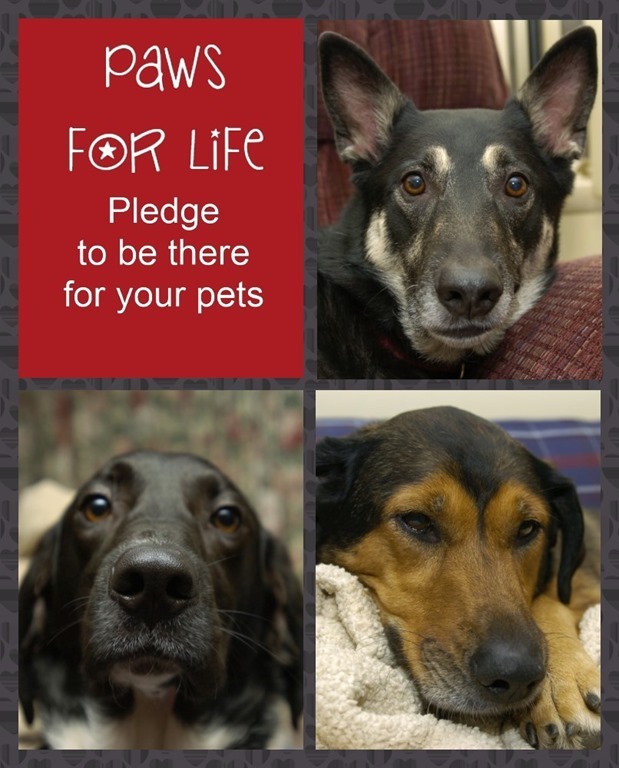 For starters, by taking the Paws 4 Life Pledge. Purina® and Sam’s Club have partnered up to encourage pet owners to lead healthier lifestyles so they can be there for their pets for a long time. 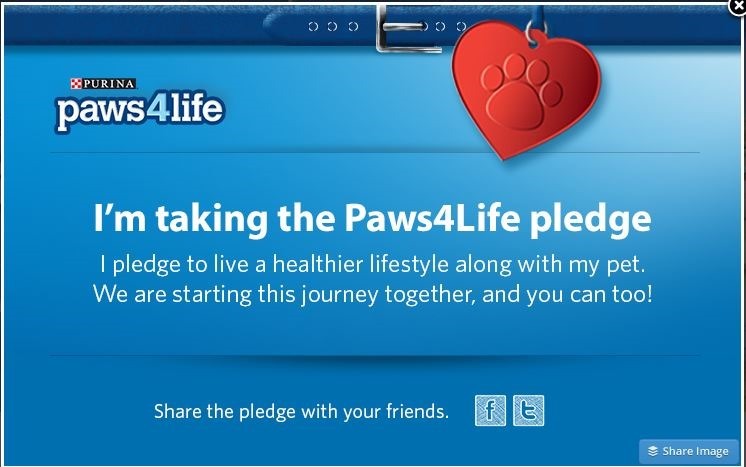 They are also encouraging us to help our pets lead healthier life styles too! After all, a happy pet is a healthy pet! At Sam’s Club, you’ll find everything you need to take optimum care of your pets’ nutritional needs. My two girls (the Shepherd and the brown dog) are both 13 years old! I attribute their long life to the great care we take in making sure their health needs are met. I know they won’t be with me forever, but I hope that by continuing to take the best care of them possible, I will have a bit more time with them. My other pooch, Cooper, is 7. He’s my son’s dog, and my son is his boy. They are the epitome of “a boy and his dog.” In fact, when Cooper occasionally escapes, the only one he listens to is Jake! It’s funny that this 100+ pound dog will drag all of us down the hill, but will stop and let my 9-year-old, 50-pound son walk him right home without so much as a tug. Making sure that Cooper and Jacob have many happy years together is one of my biggest priorities as both a pet parent and a human parent. I took the Paws 4 Life Pledge and shared it on my Facebook and Twitter. Will you do the same? Tell me, how have your pets been there for you? What makes them special to your family? I really like this post. Awesome pic’s an love how you show the impact of how animals can be a great part of a person’s/familys life in good or bad time. I love this! My doxies are my kids! Thank you so much for sharing this!